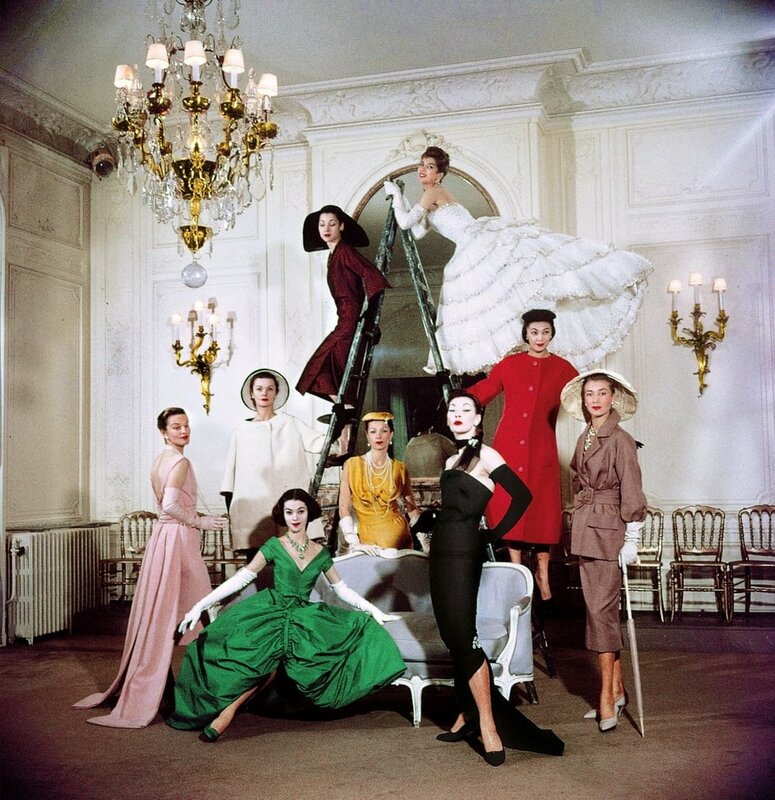 Models pose in the new Christian Dior collection at House of Dior’s headquarters, Paris in 1957. Here at Partridge HQ we are really excited for the Christian Dior: Designer of Dreams exhibition that is coming up at the V&A museum in February. With a life-long love of all things Dior, we take a look at some of our favourite moments in Dior history. Founded in 1947, Dior has seen seven fashion designers who have all constructed its history; Christian Dior, Yves Saint Laurent, Marc Bohan, Gianfranco Ferré, John Galliano, Raf Simons and currently Maria Grazia Chiuri. Christian Dior has always introduced innovation to each new season. Since the first show on 12 February 1947, baptised as “the New Look”, the House has continued to impose its vision through elegant, architectural and endlessly feminine shapes. Model wears the bar suit from the 1947 collection that would revolutionise fashion. 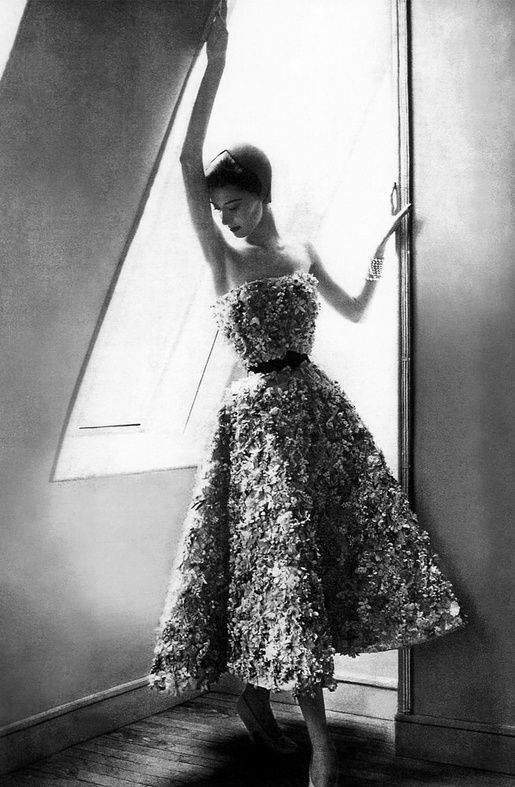 Christian Dior changed the rules of elegance around the world with his debut collection in 1947. It may not look extreme to us in the present day, however Christian Dior’s New Look revolutionised fashion. Originally inspired by the curves and dramatic shapes of the female form, Dior’s signature style of draping rich beautiful silks, and heavily embellished dresses is how he is remembered. The first collection divided the public, not common after wartime rationing, the use of such an abundance of fabric caused a stir and was seen to some as being in bad taste after the make do and mend attitude that had ruled over the previous years, some protesters in Paris tore from the younger models. To the younger fashionista the luxurious draping of fabulous fabrics was a much needed relief, a vision of a new world, with youthful hope and optimism for the future. 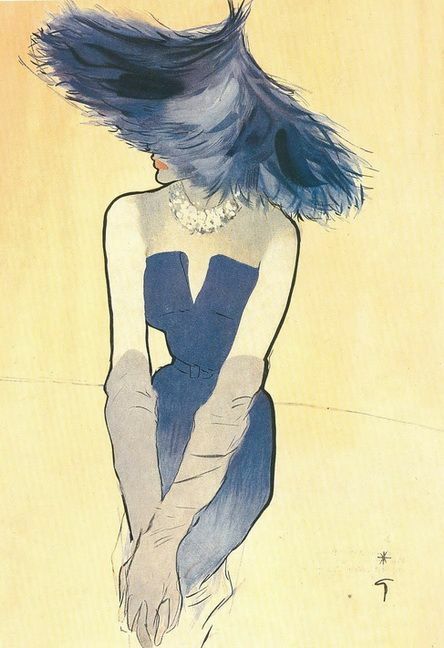 Bar suit, Spring/Summer 1947 collection, Sketch by Christian Bérad. Illustration by René Gruau, published in 1949. A young Yves Saint Laurent began working alongside Christian Dior in 1955, learning the secrets of haute couture from the master himself. On October 24, 1957, Christian Dior died from a heart attack during a stay in Montecatini, Italy. According to the wishes of Dior, Yves Saint Laurent became his successor and was named artistic director of the haute couture house at the age of 21. 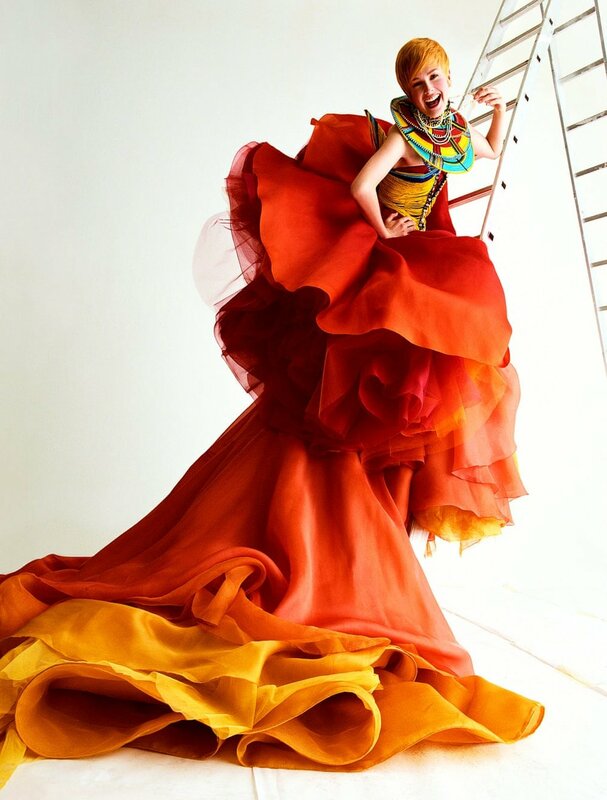 We love John Galliano’s impact on the Christian Dior brand. Galliano was head designer between 1996 and 2011, and he brought an extravagant mix of modernity and feminism which met with a fun colourful attitude. Galliano created some of the most show-stopping iconic looks the Dior brand has ever seen, with his love of the theatre, a look that changed Dior and the catwalk forever. Spring/Summer 1997 Haute couture collection. Go and see the exhibition, Christian Dior; The Designer of Dreams which opens at the V&A on Saturday, 2 February and will be running until the 14th of July 2019.